^^ Right click and do Open in New Tab to see full! 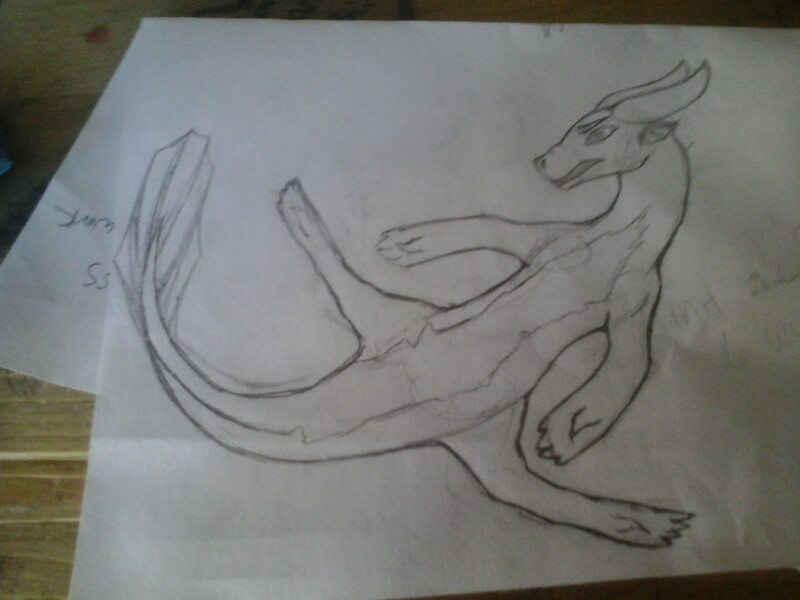 Hey guys, how is my dragon drawing? Anyone have tips? Constructive criticism welcome, except for things like, "IT'S ON PAPER" and "IT'S BLURRY". Try adding scales, look at pictures of fish scales for example!